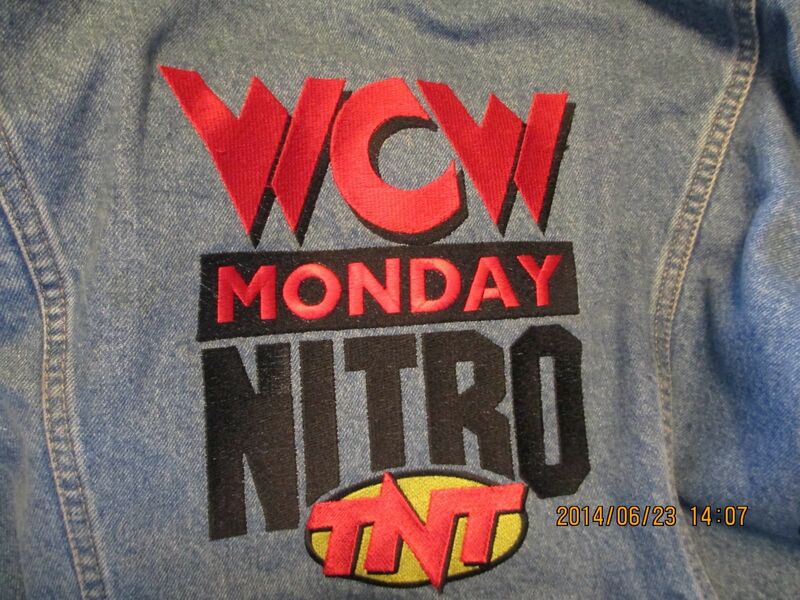 Someone Bought This: WCW Monday Nitro denim jean jacket - WrestleCrap - The Very Worst of Pro Wrestling! 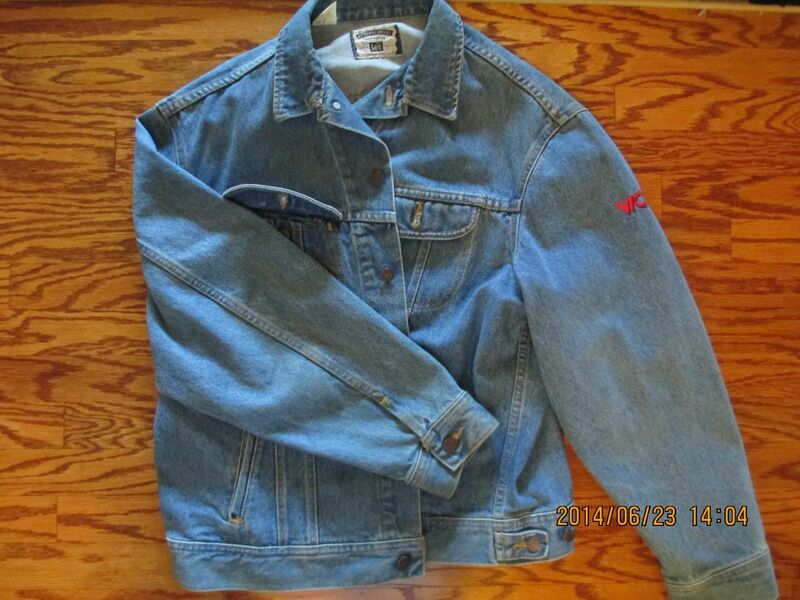 Bryan at the WCW Worldwide Blog found this WCW Monday Nitro denim jean jacket on eBay and I just had to share it. The opening bid is $225. Do you think it’s worth that much? If you do, get to bidding! 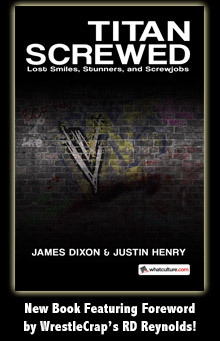 3 Responses to "Someone Bought This: WCW Monday Nitro denim jean jacket"
All you have to do then is cut the sleeves off and presto you can pretend you’re Tony Ski-vone doing one of the Road Wild ppv’s. Tony Schiavone cosplay bet that URL will never be taken. 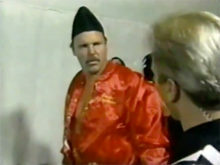 Looks like something Bischoff would wear while spoiling RAW.